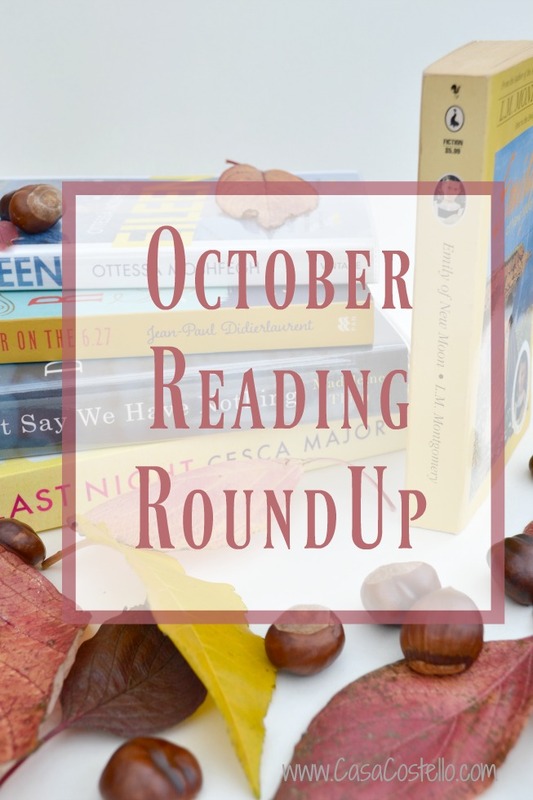 I really felt like I read more than I did during October. I was so surprised to find that I only finished 3 books. One of them felt huge though and I was in danger of starting a reading slump. But never fear, I’ve got my reading head back on – Mainly thanks to a surge of new titles I found at the library. So what did I read last month? Happy Publication Day to Cesca Major! 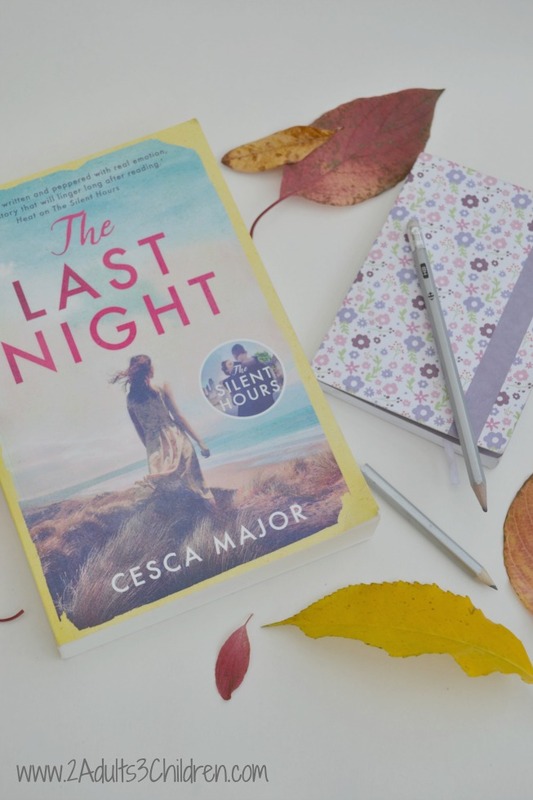 I was sent a copy of her 2nd book to review, The Last Night as I had raved so much about her first, The Silent Hours (review here). This book scans 2 eras, 1952 and the current day. In 1952, Abigail is forced into moving to live with her sister and brother-in-law after the death of her precious Mum. The story follows Abigail as she tries to grow accustomed to her new situation. Abigail strikes up a beautiful friendship with Richard, who makes her time in Devon so much better. Irina, works as a furniture restorer and takes receipt of a bureau from an overseas client. Very quickly, strange things start to happen that can only be due to the bureau. We are made aware the Irina has had a difficult past, a trauma making her lacking in confidence. With the help of her ex-boyfriend, Irina sets out to find out the bureau’s history, using clues found inside of it. This book started fairly slowly for me but I knew to persevere as Major’s first book, The Silent Hours felt the same. I will admit I was waiting for the climax at the end and wasn’t disappointed. Cesca Major definitely knows how to build up suspense. I felt the brother-in-law was a little obvious in character, although the descriptions of his actions were truly menacing. I don’t want to give any spoilers away but will say that the ending was terrifying. I was reminded of the Aberfan tragedy, this was probably due to it being the 50th anniversary the week I was reading it. Sharon Kisses and Mel Vaught meet at art college where they are both studying. Years later, they are to become hugely successful film animators. The book is the story of their friendship, their relationships with others and the effects of a serious health scare. When I first started the book, I really thought it was going to be more about their college days but this part was skirted over quite quickly. I thoroughly enjoyed the segment about Sharon’s health but struggled somewhat with the descriptions of their work. I found I got bored with the technical descriptions although it was plainly obvious that the author had really done their homework. This is a real American book, I wonder if US readers could identify much more strongly than I could. There were parts of the book that I seemed to get engrossed in but these were short between long periods of feeling like I was wading through long, extended descriptions that just didn’t hold my attention. From reading some of the reviews, this is a book that seems to be well loved by lots of readers. I would say its definitely worth persevering to finish it though, its a long book and quite an investment of time but sadly just not for me. I’ve heard so many people across blogs and BookTube raving on about this book, I just had to give it a try. I have to be honest, my first impression of the cover is how miserable it looks. (I know! Never judge a book and all that). Actually, the inside of the book is really entertaining. Stay-at-home Dad, Adam’s world is shattered when his eldest daughter, Miriam collapses and stops breathing suddenly one day at school. The Tidal Zone concentrates on exploring Adam’s thoughts and fears for his family during the aftermath of this event. I really liked the character of Adam – There are some really witty moments in a book that is looking at a fairly dark subject matter. Going back to the cover, it all seems to make sense when you are reading the book. The only parts of the book I wasn’t too keen on are the bits about Coventry Cathedral – I kept expecting these parts to be more significant than they actually were at the end. In fact, when I had finished the book and knew the outcome, I revisited parts to see if I had missed an important thread. This is my first introduction to Sarah Moss’ writing – I liked her style. Very readable and amusing without labouring a point. She seems to just be able to write about thoughts that we must all have at one time or another. My favourite section was when Miriam’s friend’s Dad comes to the house – Hilarious. 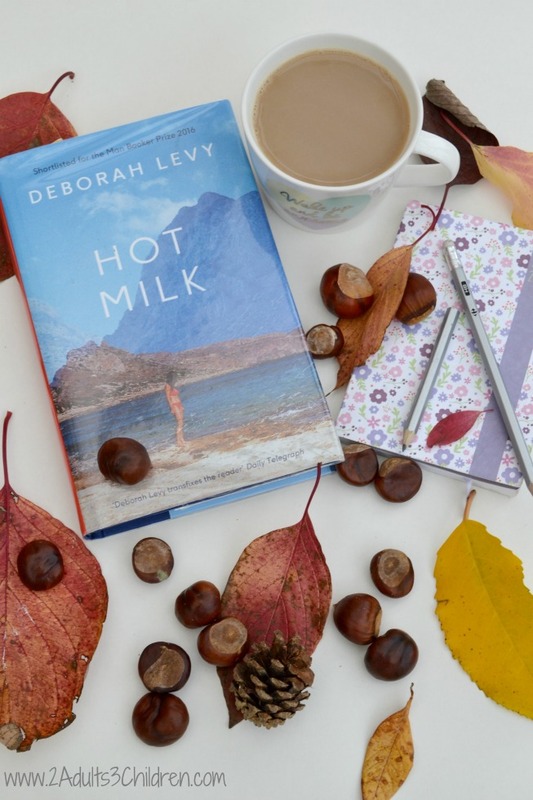 I’m just starting one of the Man Booker Prize shortlisted novels, Hot Milk by Deborah Levy. Still very early days (ie I’ve only just started tonight) so I have no idea how it will go. Watch this space. What is on my TBR this month? I broke my book buying ban a couple of weeks ago when I was in Bristol and couldn’t resist, Reader On The 6.27 by Jean-Paul Didierlaurent. Try as I might, I cannot get my girls to read Anne of Green Gables (I do remember not being that interested when I was younger too though so all is not lost forever). I’ve decided I’ll have to enjoy L.M. Montgomery‘s writing all over again myself though so bought the first in her other main series, Emily of New Moon. I’m loving how old fashioned the cover is! I’ve also dedicated this month to NetGalley November – I don’t request that many books really but seem to have built up a bit of a backlog. This will a month of many poolside hours so I have high hopes of getting through a lot of books on the TBR pile. I’ll be back at the beginning of December to let you know how I got on! I loved Hot Milk – excited to see what you make of it! 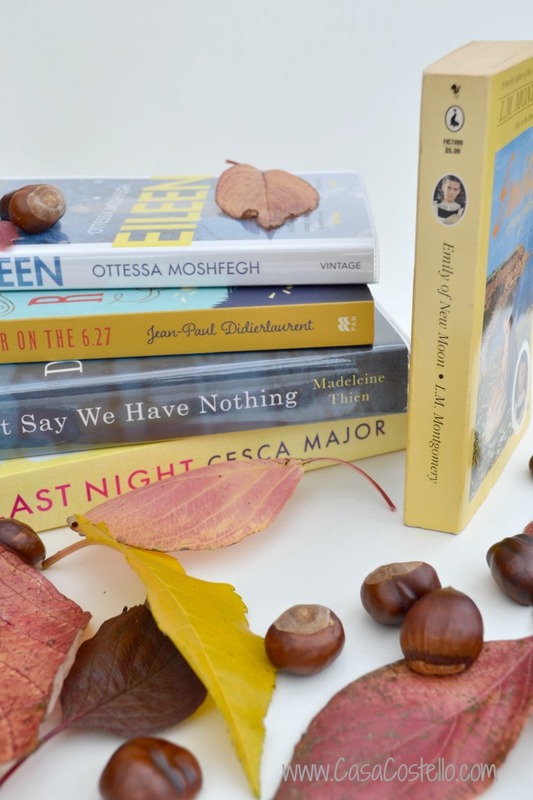 What a great round up of books – I’ve been really neglecting my reading pile this year, I hope to get back to it at some point. Love this round up. I love your blog props so much, very seasonal! 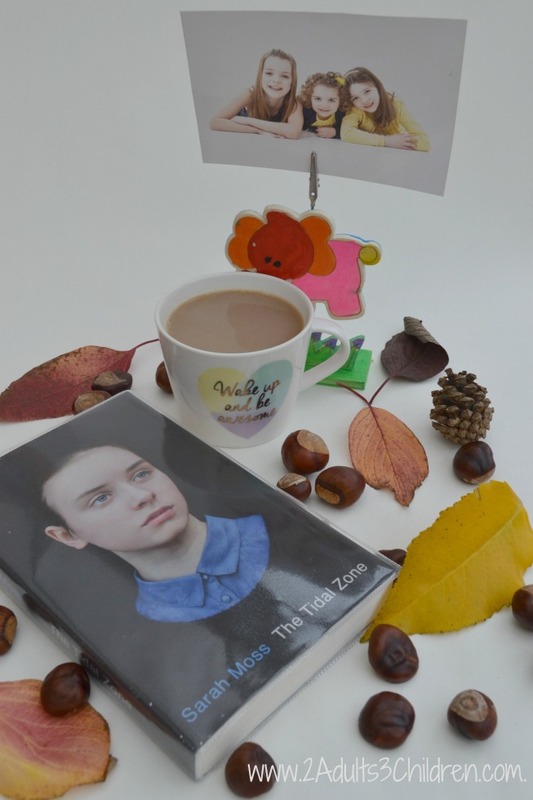 The Tidal Zone sounds really interesting, definitely like something I’d be inclined to read! Perhaps you could do with starting a new read instead of ploughing on with your current book? I sometimes struggle to keep going and a fresh read gives me new life! He seemed really realistic – Could identify with the whole family to be honest. Hope your mummy enjoys it. Its ok so far – I think I need to read a big chunk all in one go to get the most out of it. I haven’t read any of these but I love a good book! Its proper escapism isn’t it? Hope you get some suggestions from my list. i need to read the last night. i need to know how terrifying the ending is. Some great books mainly by authors I haven’t heard of which makes them much more exciting for me! I have not read anything since two months ago and I really want to change that. I envy those that have the time to read, there are not enough hours n the day for me to. I need to check some of these books out. I’ve been reading a lot of self-help books recently.